Steel engraving was first developed as a process to print ‘unforgeable’ banknotes in the early 19th century. It also meant artists could achieve finer detail, and steel engraving began to overtake less durable copper plate engravings. The frontispiece to this volume illustrates Dr William Baly’s translation of Johannes Peter Müller’s seminal work on physiology, Handbuch der Physiologie des Menschen. Figures 1 to 6 show the ‘particles from the blood of different animals’ magnified 400 times. The very detailed steel plate was produced by copper and steel engraver Henry Adlard (1799-1883), who worked in London. Professionally he was held in high regard and was often employed as an expert witness in trials of forgery and deception. 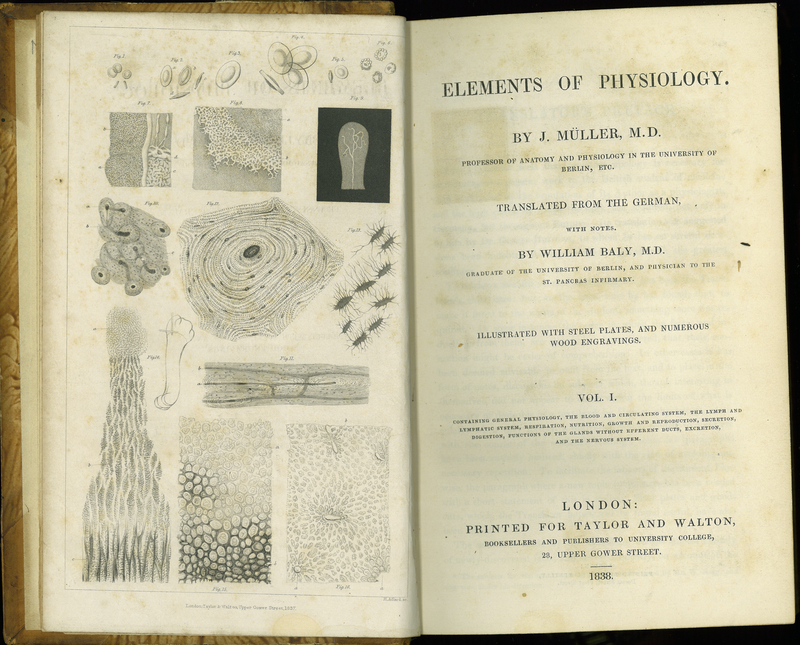 J. Müller (Translated by William Baly), “Elements of Physiology,” ourheritage.ac.nz | OUR Heritage, accessed April 24, 2019, http://ourheritage.ac.nz/items/show/10690.